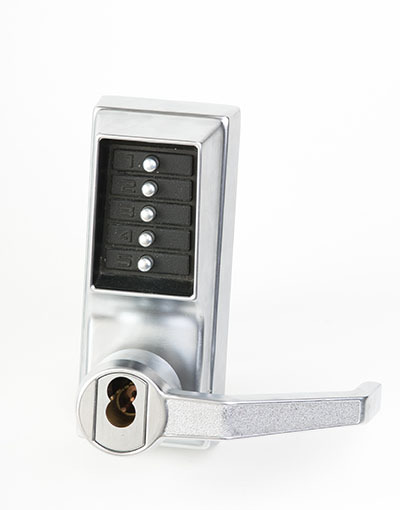 When a commercial lock gets stuck or doesn’t work smoothly, it can cause more than stress. Locks are part of safety and insurance regulations, and neglecting them can lead to security breaches and higher insurance costs. It can also decrease workplace satisfaction. Our commercial locksmith services are designed to help you avoid such problems. At the heart of what we do are professional lock repair, rekey, and replacement services for all types of commercial locks, including padlocks, deadbolts, lever handle locks, and cam locks. Lock repair is the recommended service in most cases, as it is faster and cheaper than a complete replacement. When this is not possible, however, our commercial locksmith services can replace your lock in the shortest time possible to keep your business safe. When your business employs a fleet of cars, auto lock issues are hard to avoid. Common frustrations include locked steering wheels, broken ignition key, or inadvertent car door or trunk locking. Encountering these issues, or worse, losing your car keys, is always unpleasant, but doesn’t have to be frustrating. Our range of commercial locksmith services include automotive lock repair, rekeying, and replacements. We can replaced damaged keys, make a new set from lock barrels, fix lock-outs, and more. Our Fast Response Service won’t disappoint you. When you want to restrict access to your mail box or file cabinet, installing a lock is the simplest solution. With their experience and precise tools, our team of technicians can install high-quality, long-lasting locks that are easy to use. If you also need to install a safe, we can also help with that. If you’re not sure what solution would work best for you, don’t hesitate to contact us for guidance. Security issues can’t wait. That’s why we offer a fast service for commercial clients. If you’re having problems with a property or automotive lock, or need to install a new lock, we are here to help. Tell us about your problem so we can provide the most cost-effective solution. Call Locksmith Sherman Oaks now.